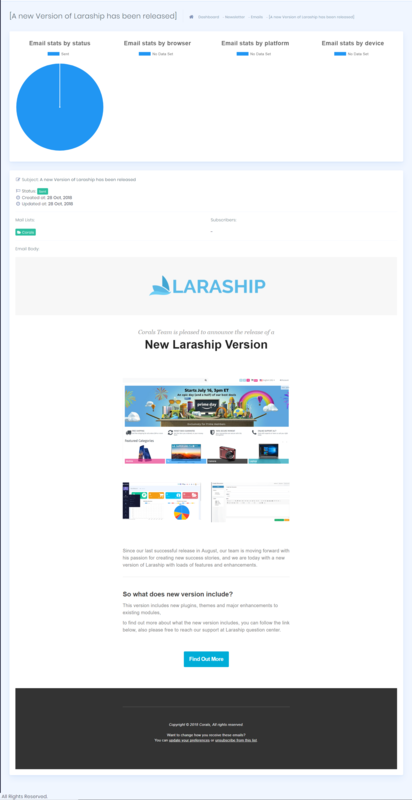 If you prefer to manage your email subscribers under Laraship platform, then the Newsletter module is your ready to go solution, create an unlimited mailing list and assign subscribers into by adding them manually or using smart upload wizard to attach them to one or multiple lists.  Schedule your campaigns, create an email template, assign it to one or multiple mailing listing, you can even assign it to individual visitors. then you can check an online statistic about the mailed listing, not only on how many got sent/opened but also about visitor statistics like Browser, device, country. an Unsubscribe URL will be attached automatically to the email body through newsletter subscribers and click and unsubscribe. Emails are sent using Queue to avoid any performance issues and ensure best deliverable method. Once the command is completed, all the tables will be generated. update the .env file with the mail and the queue driver information.